On September 21, 2016, Alibaba Cloud and Dubai Silicon Oasis Authority (DSOA), the regulatory body for Dubai Silicon Oasis (DSO), jointly hosted Dubai session of Create@Alibaba Cloud Startup Contest (CACSC). 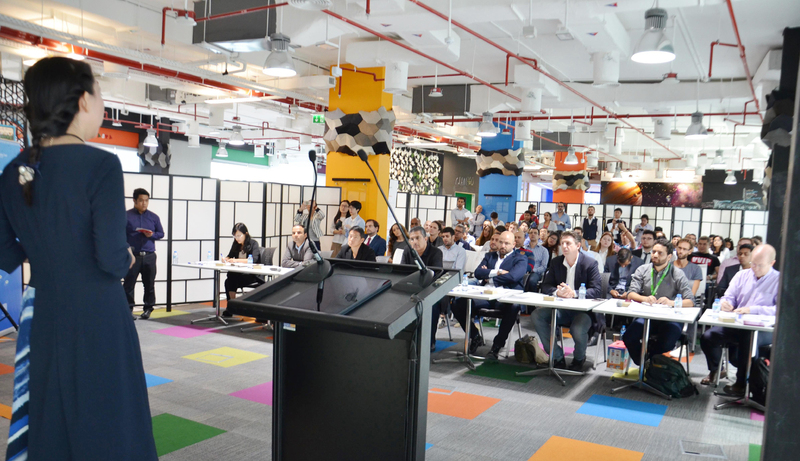 Hosted at the Dubai Technology Entrepreneur Centre (DTEC) - DSOA’s wholly owned technology incubation centre and the largest of its kind in the region- ten local technology startups covering multimedia, gaming, e-commerce, online-to-offline (O2O), social media, and Internet of Things participated in the regional finals. Marhababy was selected as the winner for the Middle East regional final and invited to compete in the world final in China later this year. Marhababy is an online company that provides free boxes to new and expectant mothers with different samples and brochures from relevant companies (detergents, baby creams and shampoo samples, nappies, for instance). As the winner, Marhababy received USD $50,000 credit that can be used on Alibaba Cloud products and services. Pieter Sleeboom, the managing director of Marhababy, said that the company was delighted with its win. "It is an amazing feeling, we work every day very hard to build a good business and get some recognition for it makes you feel very happy," he said. With the presence of Alibaba Cloud’s technologies and further engagement with local startups in Dubai, local businesses can overcome operational and technical challenges by optimizing cloud infrastructure and adapting big data solutions with accessibility, security, and flexibility built-in.